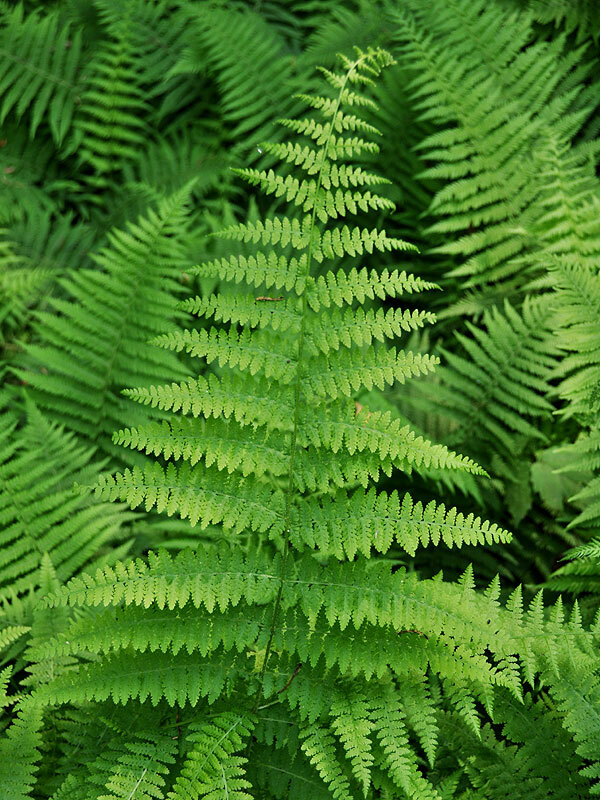 Dennstaedtia punctilobula hayscented fern Dennstaedtiaceae DEPU; Bx, bg, pb, vc, wv; NY, hb; Q, cu, ri; R, ah, an, ar, bd, cs, d, ev, fw, gb, gr, h, k, ml, sv, w, wp, t, x. Also planted in restorations: Bx: br, rd; NY: ft, iw, tm; Q: a, cu; K: fs; R: pr (Wenskus 2004). 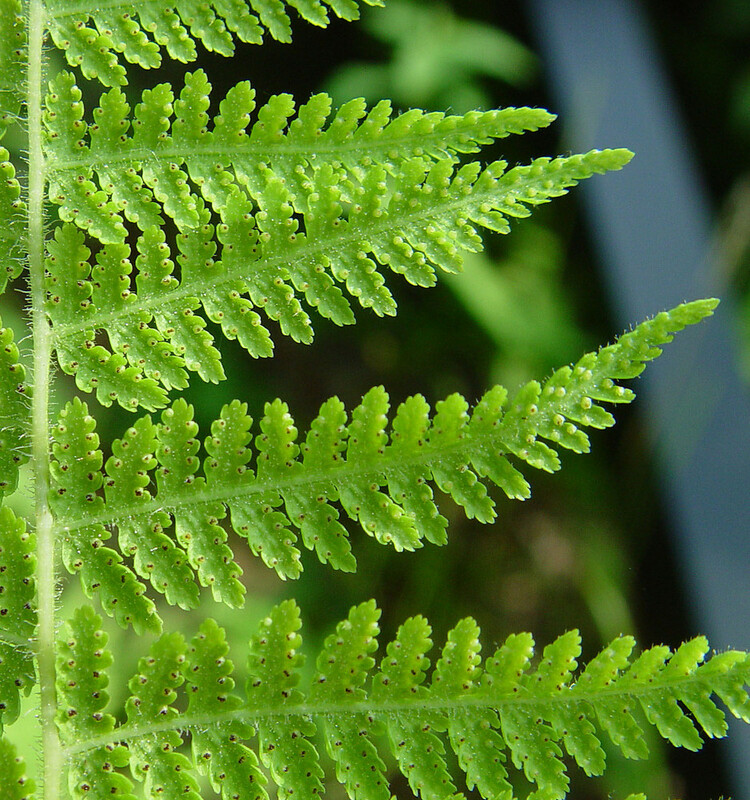 Dennstaedtia punctilobula frond. David G. Smith. Delaware Wildflowers. delawarewildflowers.org (Accessed /2018). Leaves arising singly along rhizome; stalk to 20 cm long, dark reddish-brown, pale above, stalks and midribs hairy; blade to 25 cm wide, fragrant, feathery, twice pinnate, often hairy, leaflets 17-25 per side, to 13 cm long, 4.5 cm wide, ultimate leaflets stalkless, deeply lobed and toothed, matte yellow-green, soft, basal leaflets only slightly smaller than those in middle. Dennstaedtia punctilobula leaflets with sporangia. By Arthur Haines. Copyright © 2018. New England Wild Flower Society. gobotany.newenglandwild.org (Accessed 2/2018). Spore cases round, along leaflet margins, at tips of some veins, spores mature Aug.-Sept.
Dennstaedtia punctilobula habitat. David G. Smith. Delaware Wildflowers. delawarewildflowers.org (Accessed 2/2018). 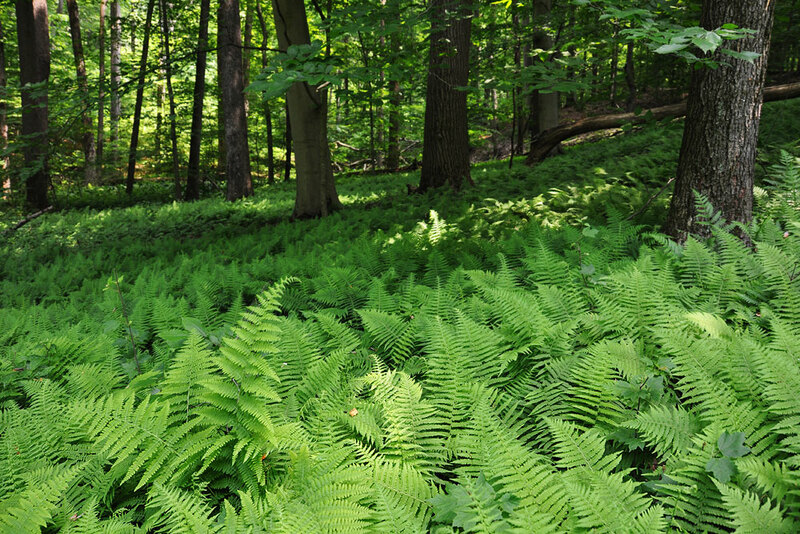 Habitat: Open, upland areas or bright woodland understory. Often in burned-over sites. Tolerates soil acidity down to pH 4.0 (Greller et al. 1990). Found forest in soil pH 4.8-5.0 (Gargiullo unpublished data). Notes: Apparently can exclude other herbs and retard establishment of tree seedlings (Horsley and Marquis 1983). 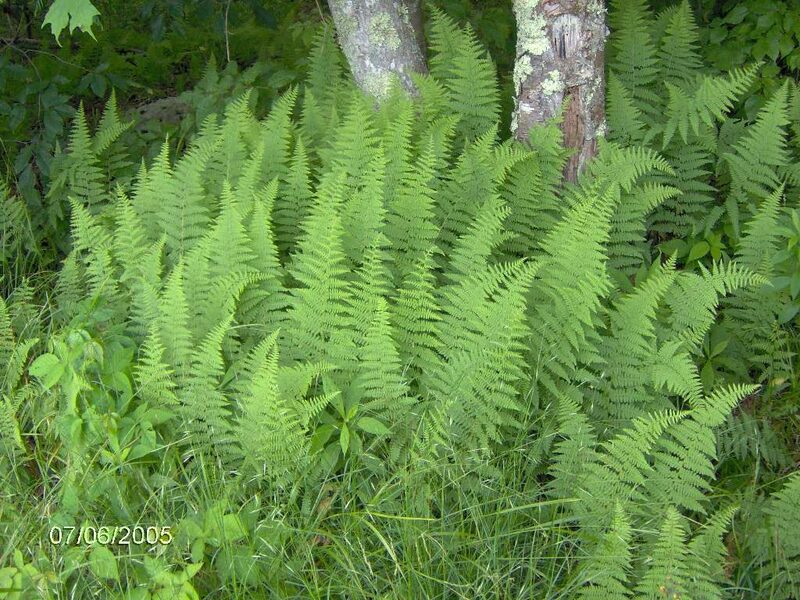 Very similar in appearance to New York fern (Thelypteris noveboracensis), which is also aggressively colonial (see below). Roots associated with vesicular-arbuscular endomycorrhizal fungi (Berliner and Torrey 1989); in spring, fronds expand before canopy closure increasing growth when light is brightest (Hammen 1993).